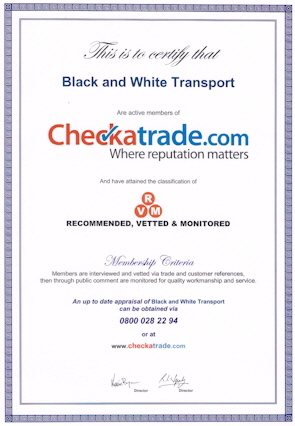 Russell started Black and White Transport in 1997 using an old Ford Transit van, so is very experienced in moving items safely with due care respecting both your loved belongings and home. The van is equipped with sack trucks, a small trolley, 30-40 removal blankets and tie-down straps and are carried at all times. Russell also has a special piano moving trolley, which is available on request. Russell is prepared to transport anything that that fits inside the van with the exception of livestock. He was once asked to move a Dinosaur and also the body of a helicopter but both items were to long to fit in the Transit he had at the time. Since then he has transported most items including motor cycles and quad bikes. 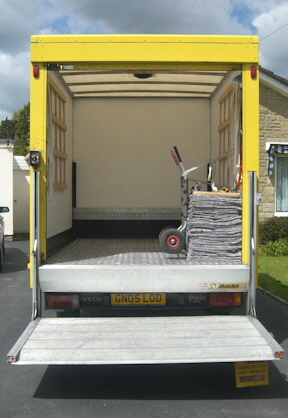 A second man is available to help with large or heavy items.